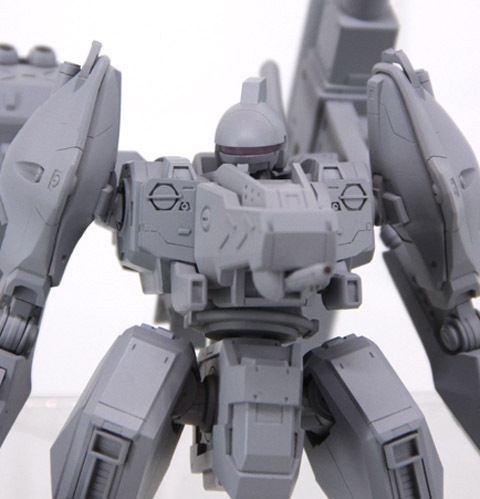 The current Wonder Festival coverage has recently surfaced and there is a veritable panoply of mecha gaming related kits that have been displayed. From the the wonderful Kotobukiya stall showing the first Nineball from the original Armored Core games as well as the Sobrero from Armored Core For Answer. In addition, their Jehuty kit also finally reared its head too. However, the most impressive kits shown are from PLUM’s stall with the suspected Valken kit shown as well as an amazingly intricate Cloudbreaker 01 from Murakumo, the latter was originally shown at this year’s Winter event.